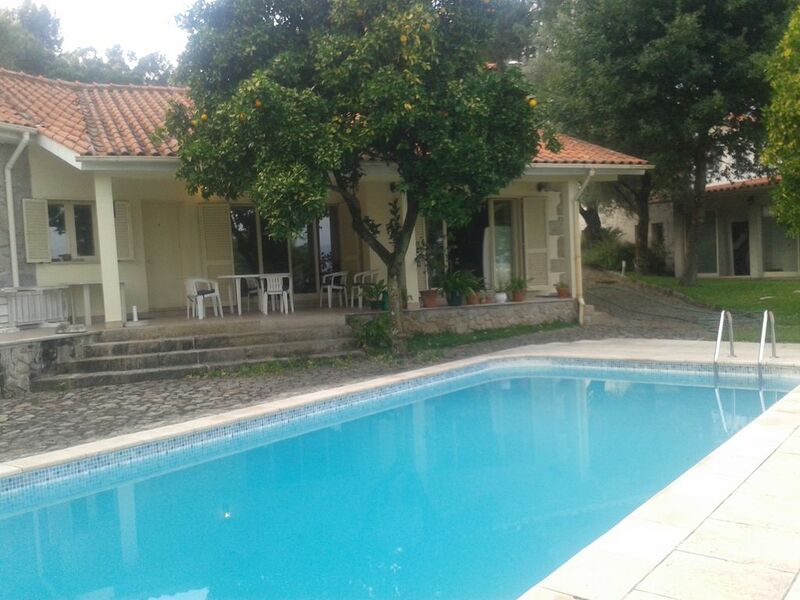 This villa in Minho region is located in Vila Verde, in the North of Portugal, 20 mins from Braga and 50 mins from Oporto. It's one of the most beautiful parts of Portugal. You will find a peaceful and beautiful spot with an amazing view. The house has one room with four single beds with linen and towels. It has one bathroom. In the living room it has also one couch with one twin bed. The kitchenet is well equipped with dishwasher, wash machine, micro waves. You will have a private parking car which have a tennis table. The garden, swimming pool and the bbq is shared with another house.